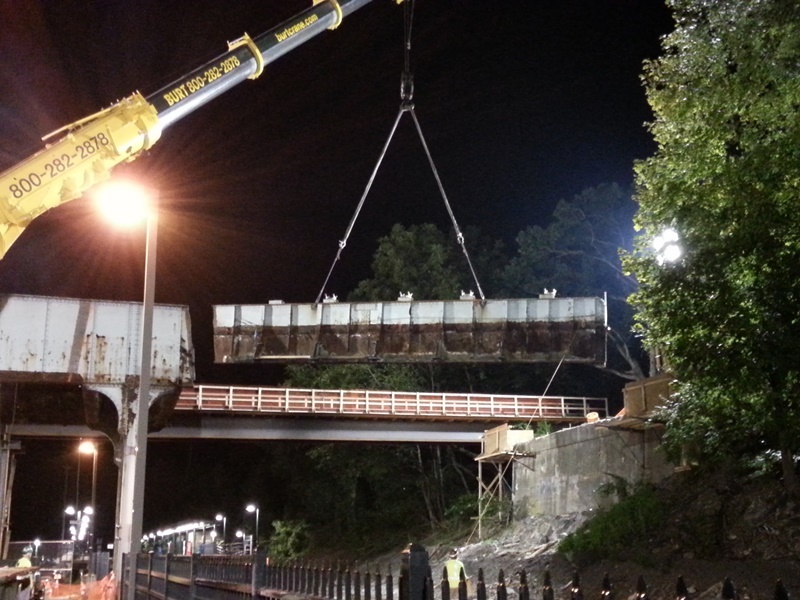 JED Engineering was retained as a sub consultant to provide construction inspection for the replacement of the Bridge Street Bridge over Metro-North Railroad. 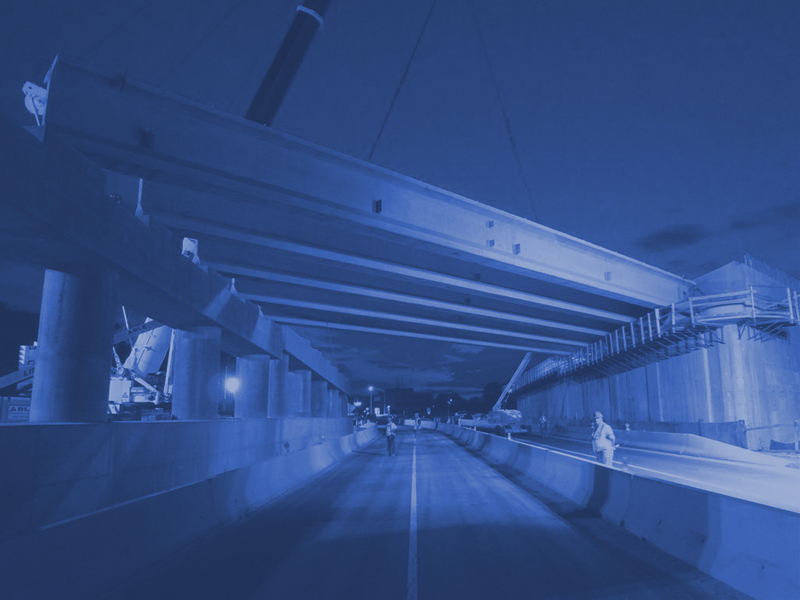 The project involved the demolition of the existing 200 linear foot, 3 span bridge, the construction of a temporary bridge for utilities and water mains, the construction of a new 200 linear foot, 2 span wider bridge at a higher elevation to improve clearance, installation of new drainage structures and the reconstruction of abutting roads to match the new bridge. 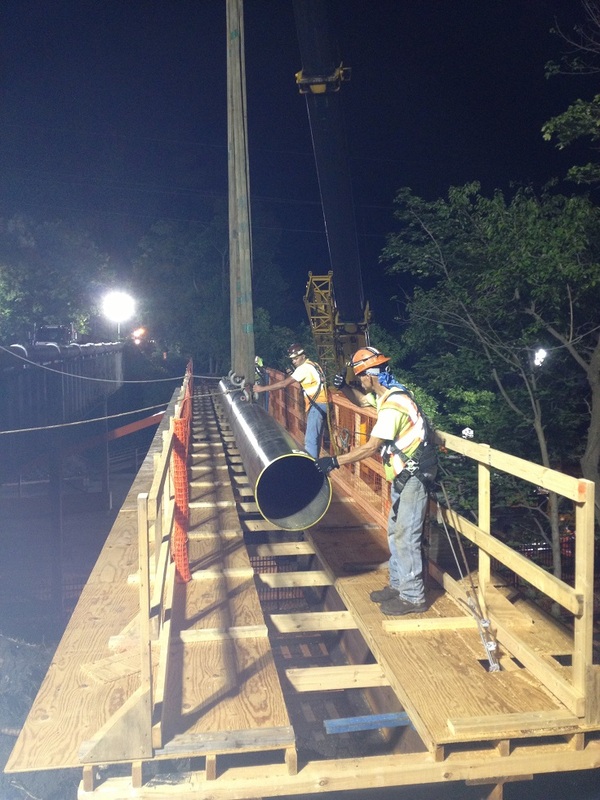 Work under this project required the setting of detour routes, the maintenance and protection of the active railroad, and track outages.